Second line is the famously funky marching groove that musicians call “the big four,” for its drum accent on every four count. 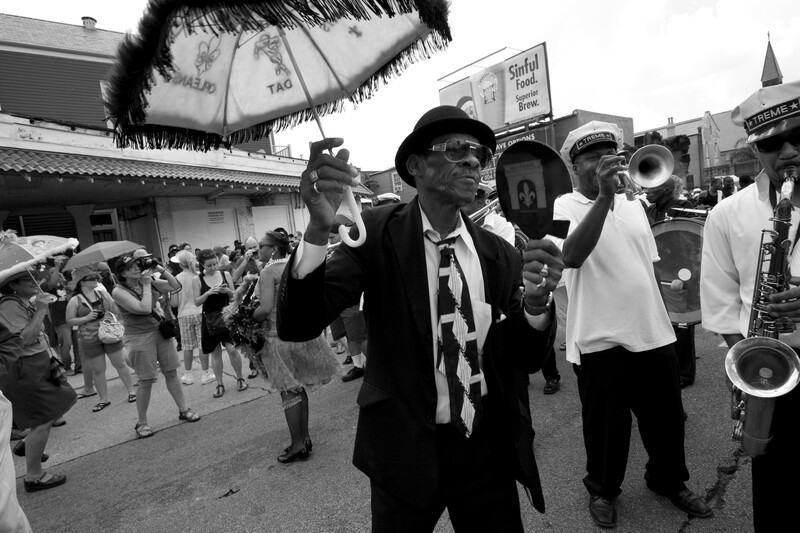 Second line originated in New Orleans, where “the second line” refers to the people dancing behind the band after a New Orleans funeral. Second line drumming is a polyrhythmic shuffle, as opposed to the two-four backbeat typical of straight blues. “It’s more or less a one and three beat, if you’re counting,” explained Herman “Roscoe” Ernest, III, the legendary drummer who put the swing in Lady Marmalade’s skirts for LaBelle and the shuffle on Lee Dorsey’sNight People album. “I would tell [a drummer] to think polyrhythms in a marching cadence with more of a shuffle, with a press roll. “The Dixieland I came up on was more or less a raw groove,” Ernest added. “People used to play on metal or a box with this kind of shuffle rhythm. It was done so manually back then that people looked at it as a Dixieland jazz thing, but it’s not just that. If you listen to it real hard, you can hear shuffles–single shuffles, double shuffles–you can hear swing. It’s all coming off the snare drum. And, if you accent real hard on the four, that is considered a New Orleans groove.